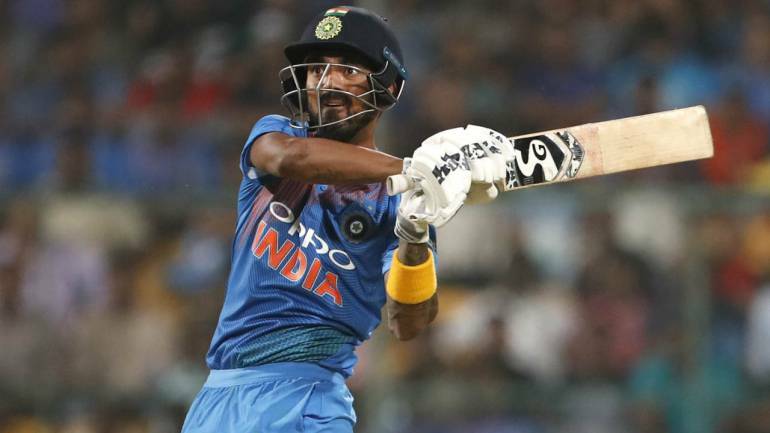 Comeback man K L Rahul was the lone Indian to feature in the top 10 batting list, even as Afghanistan’s Hazratullah Zazai jumped 31 spots to be placed at career-best seventh position in the latest ICC T20I Players Rankings issued on February 28. Rahul, who made a successful comeback with scores of 47 and 50 in the just-concluded T20I series against Australia after going through a tough time due to a chat show controversy, jumped four rungs to the sixth position with 726 rating points. Formerly top-ranked Virat Kohli (up two places to 17th) and former captain Mahendra Singh Dhoni (up seven places to 56th) have also gained among Indian batsmen. Fast bowler Jasprit Bumrah (up 12 places to 15th) and left-arm spinner Krunal Pandya (up 18 places to a career-best 43rd) have also advanced. However, chinaman Kuldeep Yadav has dropped two places to occupy the fourth spot. Among others, Australia batsman Glenn Maxwell rose significantly in the recent ICC T20I Player Rankings after superb show with the bat in the series against India. Maxwell, who was the top-ranked batsman in the format a year ago, has gained two slots to reach third position after scores of 56 and 113 not out that helped complete a 2-0 victory in India, Australia’s first series win in over a decade against the 2007 T20 World Cup champions. Hazratullah has gained a whopping 31 slots to reach a career-best seventh position after aggregating 204 runs in the 3-0 series victory over Ireland, that included an incredible 162 not out, the second highest score in T20Is. The left-hander slammed 11 fours and 16 sixes during the 62-ball knock and helped his team post the highest ever T20I total of 278 for three. For Australia, D’Arcy Short has gained eight slots to reach eighth position among batsmen while Nathan Coulter-Nile has gained four slots to reach 45th position among bowlers after taking four wickets against India, including a player of the match haul of three for 26 in the first match. Afghanistan’s Mohammad Nabi has gained 12 slots to reach 30th place and Usman Ghani has moved up 25 slots to 79th among batsmen while Mujeeb-ur-Rehman has moved from 42nd to 40th in the bowlers’ list. For Ireland, Kevin O’Brien has gained 10 places to reach 61st among batsmen while Peter Chase has moved up 22 slots and is now ranked 99th among bowlers. In the ICC Men’s T20I Team Rankings, India have retained their second position while Australia have overtaken South Africa and England to reach third place and to within two points of India. Afghanistan and Ireland retain eighth and 17th positions, respectively. Pakistan lead the team rankings with 135 points, 13 points ahead of India.